The Low Down: Wally is an adopted girl from Russia. She barely remembers anything about her life there, so why is she so angry with her adoptive parents? Deciding to live on the streets with her crew until she figures things out, an encounter sparks an unstoppable trajectory that puts her in the path of mobsters, murder and deception. Who is Wally? Best Thang ‘Bout It: I loved the Russian angle – the adoption, the story of Wally’s past and her birth mother’s escape. The tale from start to finish feels like what I imagine life on the street is like; avoidance (of home, family, police); trying to make a family out of your crew; being smart and fast. When Wally realized that her friends have real problems is her big wake-up call. There’s a lot of action. I’m Cranky Because: Because of reasons that you’ll understand after you read the book, the adoptive dad is quite out of the picture. Plus, it seems like her adoptive mom has given up a little on Wally. Plus, I kept wondering how anyone can help those kids? 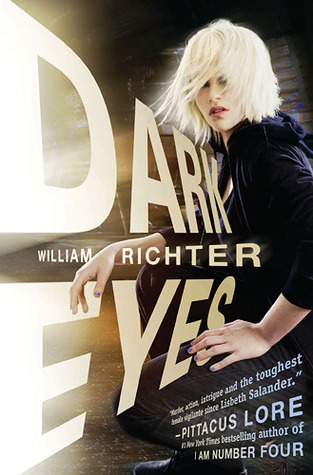 Dark Eyes was published on March 15, 2012 by Razorbill.